From Sydney, to the Middle East and back again to organise rock concerts with Wiz Khalifa, then working for Google and now the Department of Defence, Joel Einstein credits his degree at the Coral Bell School for getting him there. Joel studied the Master of Strategic Studies (Advanced) at the Strategic & Defence Studies Centre (SDSC). He contributes making the move to several factors - how highly people spoke of ANU, the Strategic Studies course was the perfect mix of his interests, the close link to government the School maintains, and the opportunity to network. Joel was also able to further his interests in Indonesia. In his thesis titled ‘Analysing Australian Strategic Discourse on Indonesia in the Post Suharto Period, 1998 - 2016’ he presented the discord between how strongly Australia prioritises Indonesia, versus the number of times (and the way) Indonesia is being written about in literature. Concurrent to his degree, Joel worked for Google where he managed relationships with stakeholders and ran training seminars for people to better understand and interact with Google products. 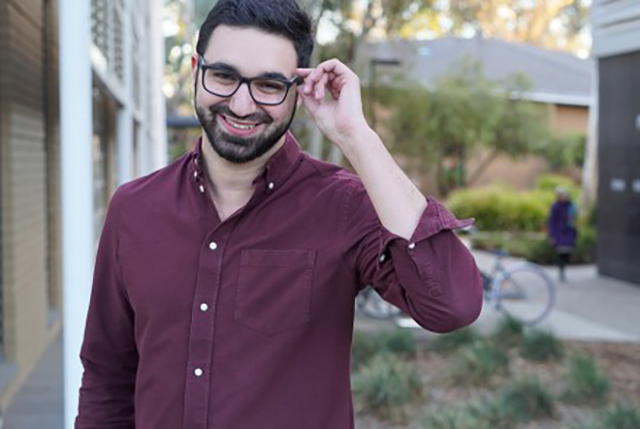 Directly prior to his studies at SDSC, Joel had taken intensive Arabic and Hebrew language courses in Israel, Palestine and Jordan. When he returned to Australia, he worked for the NGO RockCorps which organises concerts with the world’s biggest names. But with a catch - the only way to get a ticket is to volunteer. In 2018, Joel accepted a Graduate Program offer with the Department of Defence working in areas of policy linked to the subject matter taught at SDSC. Joel says that since starting in the workforce he has been able to successfully employ the ideas and concepts he was taught in the degree and that it has been very satisfying and validating. Joel is excited about what the future holds, but for now he’s just looking forward to exploring his new field and to put what he has learnt at SDSC into practice. Find out more about studying a Master of Strategic Studies at ANU.